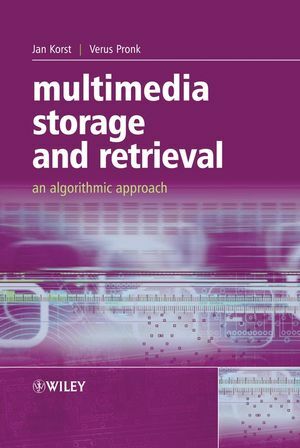 Multimedia Storage and Retrieval describes various algorithms from simple to sophisticated: from single user to multiple users, from constant-bit-rate to variable-bit-rate streams, and from single disk to multiple disks. This book emphasizes storage and retrieval of video data using magnetic disk systems and its elementary, mathematical approach concentrates on the fundamental algorithms. Provides those new to the subject with the basic principles of the design and analysis of video-on-demand systems and guides the reader towards a thorough understanding of the field. Comprehensively covers disk scheduling algorithms, including round robin, double and triple buffering, grouped sweeping, and dual sweep. Extensively treats storage strategies, including contiguous and segmented storage, track pairing, striping, and random redundant storage. Concludes with further optimizations in the area of video transmission, covering bit-rate smoothing and near video-on-demand strategies. Senior undergraduate and graduate students on computer science and electrical engineering courses will all find this book appealing. Researchers and those in industry will also find it an invaluable reference. Jan Korst received his M.Sc. degree in mathematics from Delft University of Technology, and his Ph.D.degree from Eindhoven University of Technology, both in the Netherlands. Since 1985, he has been with the Philips Research Laboratories in Eindhoven. His research lies mainly in the areas of scheduling and resource management problems in the areas of IC design and multimedia systems. Verus Pronk received his M.Sc. degree with distinction in mathematics from Eindhoven University of Technology, in the Netherlands. Since 1988, he has been with the Philips Research Laboratories in Eindhoven, where he has been active in the fields of fault-tolerant computing and communication, resource management in multimedia systems, contract negotiation and charging in ATM networks, and MAC protocols and scheduling in access networks. His current activities focus on performance issues and quality of service in access networks and in video-on-demand systems. 2. Modeling Server and Streams. 3. Serving a Single CBR Stream. 4. Serving Multiple CBR Streams. 5. Serving Multiple VBR Streams. PART III: STORAGE ON A SINGLE DISK. 7. Using a Multi-Zone Disk. PART IV: STORAGE ON MULTIPLE DISKS.